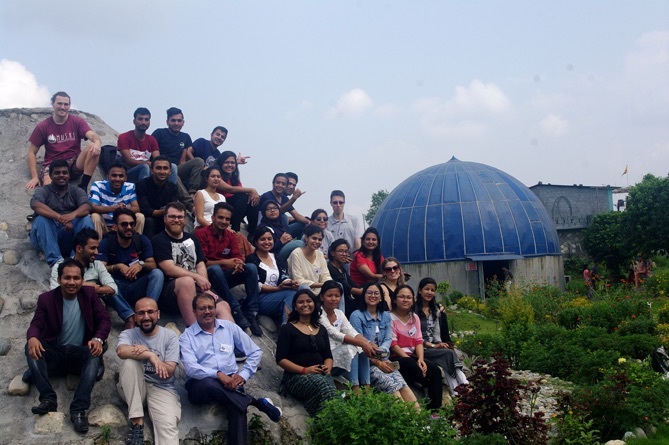 The second edition of the Kathmandu Astrophysics School has seen the participation of 25 undergraduate and graduate Nepali (19) and international (6) students, with maximal gender diversity (12 females and 13 males). Students and faculty stayed in the Lakeside area of town, and classes were kindly hosted on the Prithvi Narayan Campus. 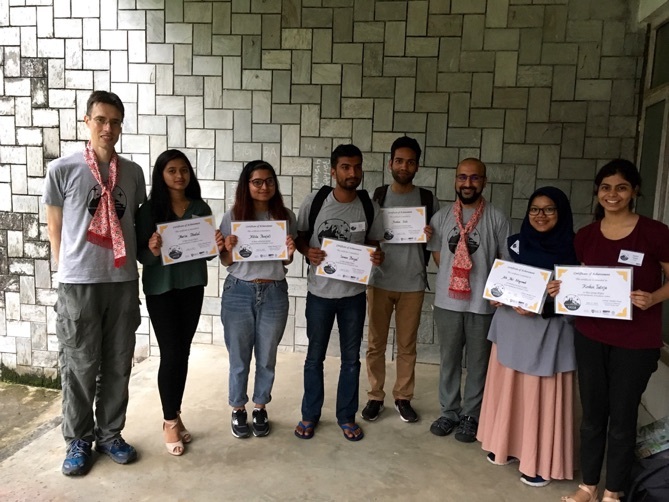 The program was intensive but the students were fully committed to making most out of the experience, as achieved impressive progress in coding and problem solving in just one week. 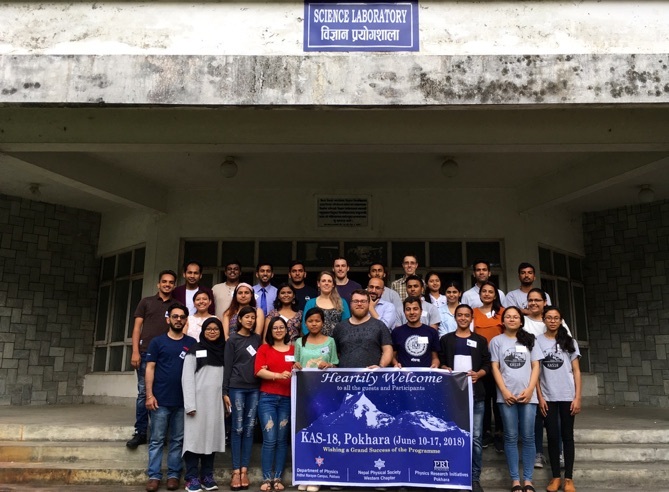 KAS18 faculty also gave two public talks, one on “Stars, Galaxies, and the Universe”, organized in collaboration with the Pokhara Astronomical Society, and one of “The Furthest Galaxies” as part of the Science Discussion Series of the Pokhara Physics Research Initiative.